In the past I've always climbed, run or cycled to stay fit. I really don't like sitting still and I feel like my self esteem is directly tied to exercise (maybe not the best thing). Goal-oriented training is something that's new to me. This year, with a number of goals in mind, I've really begun a more focused training effort. My physical endurance has increased, my cardiovascular fitness has improved, and I've lost some weight. Watching my body change has been interesting and rewarding. My pants are looser and the climbing harness feels a bit less comfortable resting on bonier hips. Motivating to work out has become less challenging. I've been exercising all of my life, and in a way I still feel like I'm just stabbing in the dark. I get run down, I'm battling significant tightness in my upper left leg, and my right knee hurt a bit after my 10-miler on Sunday. 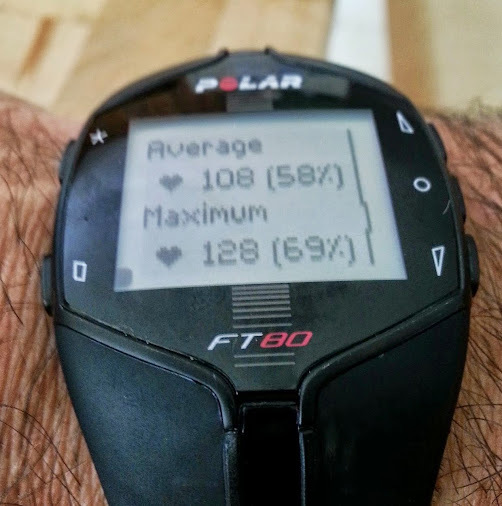 My fitter-than-average, but non-training, friends tell me I need to rest. I think they're right, but I don't think the answer is quite so black and white. Training is all about finding the edge, that place where you can make huge gains in your personal fitness. These gains allow you to accomplish goals that wouldn't otherwise be possible. If you step over the edge though, you can find yourself feeling like you're "overtraining". I've been toeing that edge the past week or so. Last week was week 2 of a 10-mile race training plan that I've adopted. I'm more or less following it, modifying some of the workouts, or splitting higher mileage days into two sessions on occasion. I ran 28 miles 2 weeks ago and 32 miles last week, including a Sunday 10-mile run. Last week, perhaps 60% of my mileage was on roads, or dirt roads in town around Northampton. The road mileage is hard on my body. I've known that, and in the past I've avoided running on the roads as much as possible. However with two sessions a day some days and running 5-6 days a week I don't always want to drive to a trail every single time I want to run. It's more convenient to run from my house. It seems kind of silly to drive your car just to go on a run, doesn't it? Last week's workout schedule, according to the plan I'm following, suggested running 2 x 2-mile LT (lactate threshold) tempo runs Tuesday, as part of an 8-mile run, a track workout Thursday as part of a 7-mile run, and a 10-mile run at 80% of my MHR (max heart rate) Sunday. The week felt hard, but not impossible. This Monday was a light, 4-mile active recovery. Tuesday was another LT day. I decided to attend a Tuesday night X-C race in town instead. The race ended up being pretty fast, and I went out hard. I felt like I was running faster than I had in other races. I hit the 1-mile mark in 5:45. Much to my surprise I was 5 seconds slower than during my last race. Just before the end of mile 2, with a laggy left leg on my mind, I pulled out of the race and jogged the rest of the course. I'm more fit than I was 5 weeks ago, the time of my last race. Getting slower despite your efforts is a sure sign of overtraining. Another sign is chronically achy joints; I've got those. Yet another sign is weight gain. I don't have that, but I had stopped losing weight despite being careful about what I was eating. Now, for the rest of the week I'll be doing a combination of easy runs (HR at or below 120 at all times), full rest days and climbing. I jogged 3 miles today. It felt good. I'm eating carefully and resting as much as I can. Will I be going straight back to my 10-mile race training plan after this week? Probably not. I'm thinking that some modifications are in order. Most likely, from now on, all of my longer runs will be easier than 80% of my MHR. Going for 1.5-2 hours at that pace on roads felt pretty destructive for my joints, muscles and connective tissue. An exercise session of that duration and intensity, it seems, can also significantly deplete glycogen stores in the muscles. Knowing that it can take several days to recover and refuel one's glycogen stores, it would seem wiser to make the long runs easier (to rely on stored fat as well as muscle glycogen), or spread intense workouts out a little more to allow muscles to build up their glycogen stores again. Scheduling LT workouts just two days later doesn't seem practical. I'll also be including more 1-mile and greater length intervals in my training. I've found that I have plenty of leg speed and good endurance at shorter interval distances. On the track during workouts I'm pretty comfortable running around 4:50-5:20/mile pace for distances under 800 meters but longer distances feel significantly harder. Training, especially when we don't have access to the latest scientific equipment and the best coaches presents a significant challenge. There's a lot of science involved in the process, but as humans we operate largely on an unscientific "feel" to gauge how we're doing. Despite the fact that I've considered myself an athlete my entire life, I'm learning new things about training, fitness, nutrition and rest that I've never known. Each day and week I reevaluate where I'm at and modify accordingly. Gone are the days when I would just push through, thinking that hard work is the only thing that will make you stronger. Our brains are good at tricking us into thinking we need to work harder. The reality is that we need to work smarter. Training plans that work for some won't work for others. Each of needs to do what's best for our own bodies. There's so much out there on the internet. A lot of it is gimmicky and much of it seems suspect at best. I stumbled upon the website below while reading about overtraining. It seems "overtraining" as an actual phenomenon is debatable. However, there are real effects that occur when we're working too hard and not resting properly. Here's a list that I found useful. Hopefully you do too.